The first in a series of five special ‘Biz Events’ takes place later this month, focusing on financing growth. Hosted by the Growth Hub On The Road programme, the event at St Austell Conference Centre on November 29 will feature Beth Mayman from the conference centre talking about its expansion and Simon Heap of high-tech fitness company Rugged Interactive on angel investor finance. Future Biz Events will feature sales, marketing, leadership and strategy and take place every other month through to July 2018. Each event runs from 8-10am and begins with a light breakfast and networking. 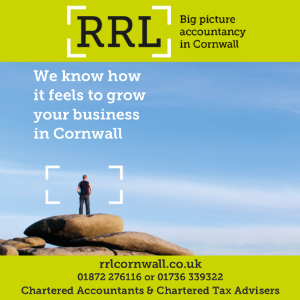 The On The Road programme is part of the Cornwall & Isles of Scilly Growth Hub, which is part funded by the European Regional Development Fund and match funded by Cornwall Council, the Department for Business, Innovation & Skills and the Cornwall and Isles of Scilly Local Enterprise Partnership. For more details and to book a ticket, click here.